Vacation is something that we all look forward to, but it’s important not to forget about your home—and its safety—while you’re away. 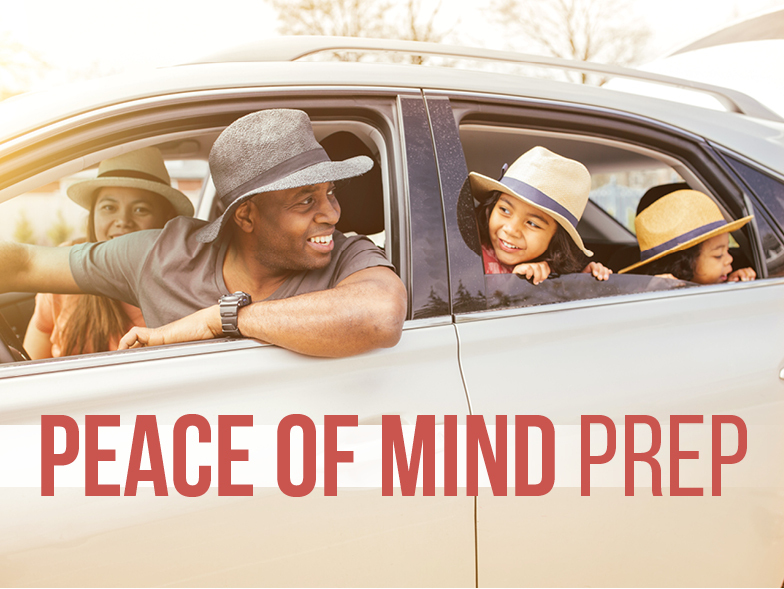 With some pre-planning, it’s easy to make sure your house is safe and secure, giving you peace of mind and allowing you to focus on the relaxation and fun of vacation. Unplug all of your major appliances that could experience power surges. This can help protect the appliances, but also prevent a fire in the event of a surge. Another key fire protection measure is to check all of the batteries in your smoke detectors. These devices are crucial for early fire detection—and your neighbors can likely hear them to alert the fire department. It’s important to not only wash, but dry all of your dishes before you go away. Toxic mold and mildew can form in these damp environments, posing a hazard to your kitchen. If you live in a warm climate, consider turning off your air conditioner. There’s no need to keep it running, unless you have pets, and it will save you money on your next energy bill! Help give the impression that someone is still at home by leaving a car parked in your driveway. Be sure to remove all of your valuables from the vehicle first. Instead of leaving a spare key under the welcome mat, ask a trusted neighbor or family member to keep it while you’re away—it’s much safer. And in the event of a problem, they’ll have easier access. Though it may be tempting to share the news of your upcoming getaway, thieves often scan social media looking for neighbors who will be away. Wait until after the vacation to share your photos and messages. Don’t allow your mailbox or front stoop to overflow with mail—a sure sign you are out of the house! Instead, ask a neighbor or family member to hold on to it for you until you get back. Consider purchasing controllable timers to turn on and turn off lights, TVs, and more, which gives the impression that you are still home. Take advantage of your local law enforcement agency's policy- if they have one- to have an on duty officer drive by your home. Place all of your most precious valuables and important documents in a fire safety box for added protection. This goes without speaking, but double check that all doors and windows are locked securely before leaving for your trip. Have pets? Skip doggie daycare and ask a friend or family member to stay in your home with your furry friends. They'll be much more relaxed in their own home and your home will be under watchful eye. Heading out for an extended trip? Clean out the refrigerator, throwing away anything that will expire while you're gone. This will help prevent yucky messes in your fridge upon your return.